Recently, I stayed in one of guest houses run by TTD (Tirumala Tirupati Devasthanams) in Tirumala. I did online booking for a single room under Rs 500 category from their online booking website www.ttdsevaonline.com. After reaching Tirumala, I did not get any problem in getting a room and system was very smooth so I got room allotment in just 5 minutes. Rooms under this category are average and can accommodate 2 to 5 people. 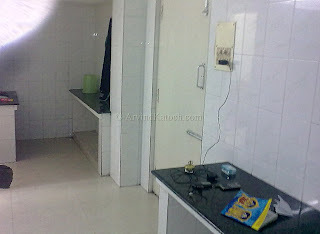 In these rooms, TTD provide two beds with full bedding, two chairs and attached bathroom with Geyser. Room was clean when I entered my room; however, geyser in bathroom was not working plus pillows were not completely clean. Otherwise, it was one of best and economical arrangement available in front of people for stay in Tirumula. 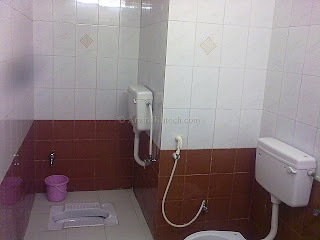 Rooms are available in the category of Rs 100, Rs 150, Rs 300, Rs 500 (non AC) and Rs 750, Rs 1000, Rs 3000 (AC). 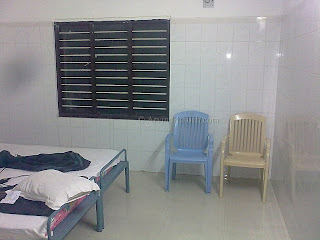 All these rooms can be easily booked online by visiting TTD online booking website (www.ttdsevaonline.com). People from north can face slight language problem because less number of people understand either Hindi or English.